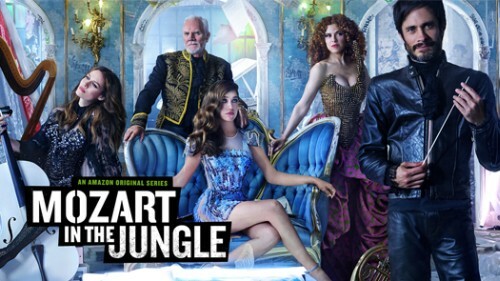 Hello Frequent Flyers and welcome aboard our Nineteenth flight, Mozart in the Jungle. We ask all passengers to remove their headsets before take off, and instead enjoy the musical stylings of an Oboist who knows how to TURN UP. Incidentally there will a massive party where there will be a wood-wind-off, and you may find that and our previous pilot has been replaced with a newer hotter pilot who likes giving away flowers. This flight will not, incidentally, be for our younger flyers. Flaut(!) your knowledge on our Facebook. Play it again on our iTunes page? And conduct yourself accordingly on our Contribution Page where you can tell us what you think with words or scrills.